Celebrated across Canada, Freedom to Read Week is an annual event highlighting our right to freedom of expression and our love of reading. As free as it may seem, Canada isn't without attempts at censorship. Libraries and bookstores across the country are featuring displays of books that have been challenged in Canada. The list of which publications are included might surprise you. Visit your local library, or view the full list of challenged publications. 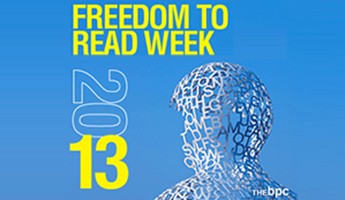 Check out the full list of Freedom to Read Week events. Kate McCullough is an intern at CJFE through a partnership with Humber College, where she is the Executive Editor at Convergence Magazine.